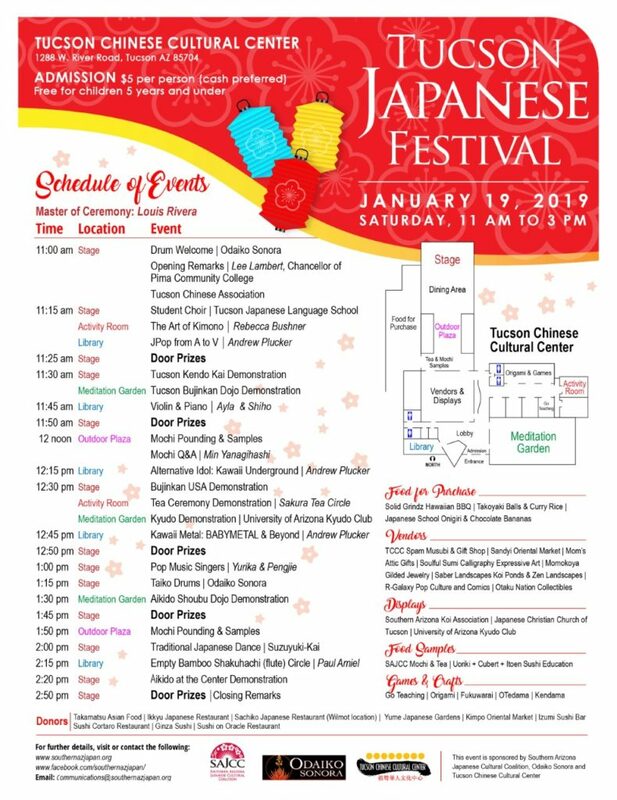 Hot off the presses, our exciting performance schedule for the annual New Year’s Tucson Japanese Festival, to be held on Saturday, January 19, at a new location, the beautiful Tucson Chinese Cultural Center, 1288 W. River Rd. 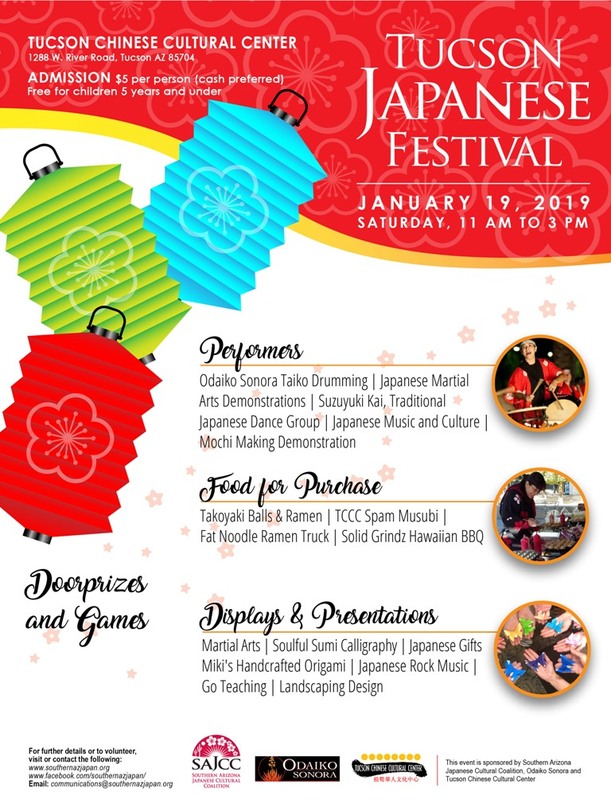 The festival will take place from 11 a.m. to 3 p.m. with numerous dance/musical performances including taiko drumming by co-sponsor Odaiko Sonora, plus exhibitors, children’s activities, and food vendors serving delicious Japanese dishes. Many thanks to donors for gift certificates to be given away as door prizes:Takamatsu restaurant, Kimpo Oriental market, Sachiko Sushi, Ginza Sushi, Izumi restaurant, Sushi Cortaro on River, Sushi on Oracle, Sushi Cho. Ikkyu restaurant also loaned our mochi making team a mochi machine & donated 50 lbs of mochigome sweet rice. Yume Japanese Gardens donated lovely ikebana displays. More updated info will also be on our Facebook page, www.facebook.com/southernazjapan/. Phone # for info is 520-577-1763 (leave a message).